In current global politics, which positions China as a competitor to American leadership, in-depth understandings of transnational mutual engagement are much needed for cultivating nonviolent relations. Exploring American and Chinese professors' experiences at the intersection of the individual, society, and history, and weaving the autobiographical and the global, this book furthers understanding of their cross-cultural personal awareness and educational work at universities in both countries. While focusing on life histories, it also draws on both American and Chinese intellectual traditions such as American nonviolence activism, Taoism, and Buddhism to formulate a vision of nonviolence in curriculum studies. Centering cross-cultural education and pedagogy about, for, and through nonviolence, this volume contributes to internationalizing curriculum studies and introduces curriculum theorizing at the level of higher education. 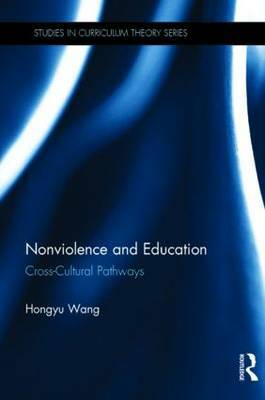 Hongyu Wang brings together stories, dialogues, and juxtapositions of cross-cultural pathways and pedagogies in a powerful case for theorizing and performing nonviolence education as visionary work in the internationalization of curriculum studies.